Learn the basics of 3D design using Tinkercad.com and the library's own 3D printer. 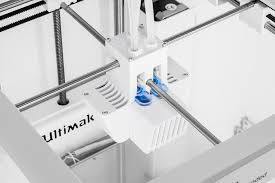 We'll talk about some ways that 3D printing is being used today and then you can design and print your own object using 3D design apps. As a 3D printing job can take several hours, participants will design objects that will be printed later and can be picked up after the program. Ages 16+.